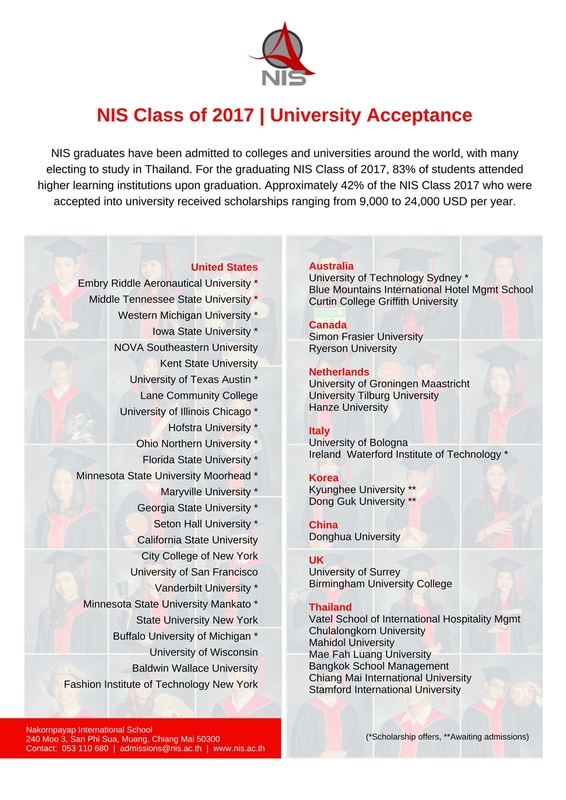 NIS graduates have been admitted to colleges and universities around the world, with many electing to study in Thailand. For the graduating NIS Class of 2017, 83% of students attended higher learning institutions upon graduation. 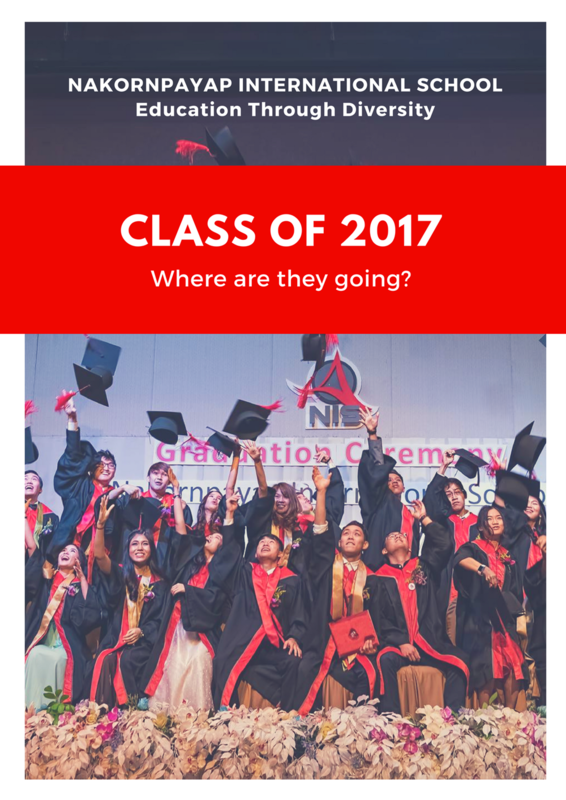 Approximately 42% of the NIS Class 2017 who were accepted into university received scholarships ranging from 9,000 to 24,000 USD per year.